Glasgow International Festival of Visual Art 2010. 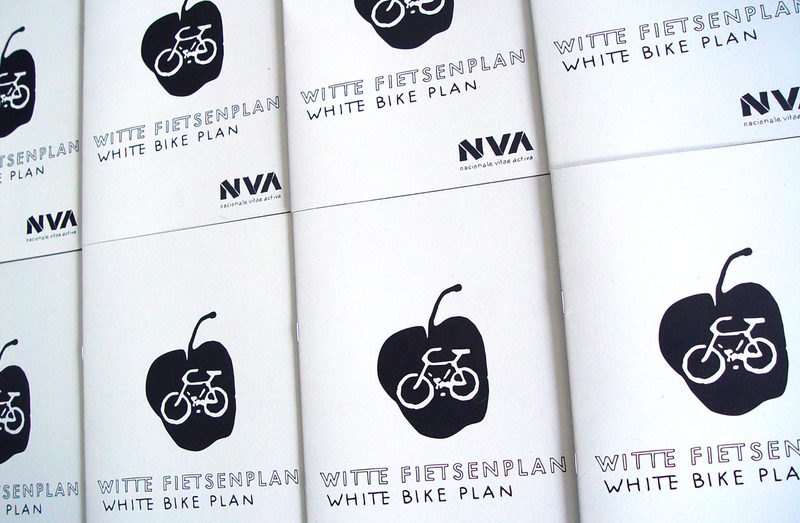 NVA’s White Bike Plan referenced and reinvigorated the political, philosophical and ecological directives of the Dutch Provo movement of the 1960’s. 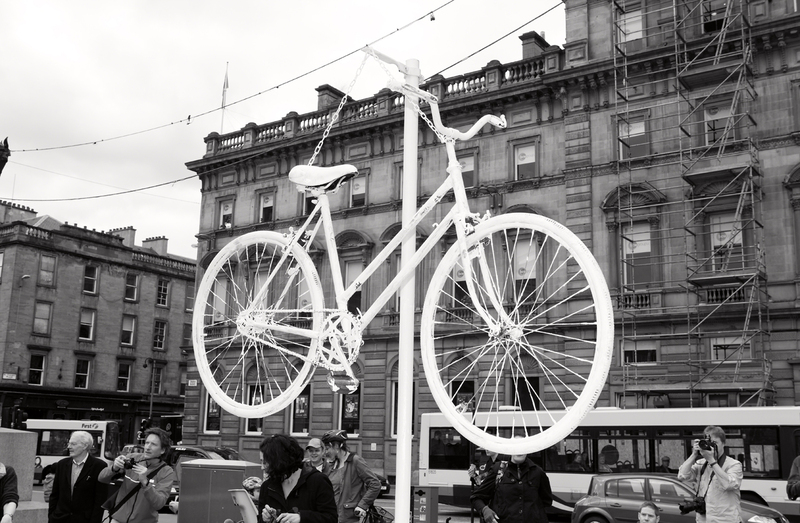 NVA released 50 white bikes across the city for the audience to freely use for travelling between venues for the three weeks of the festival. 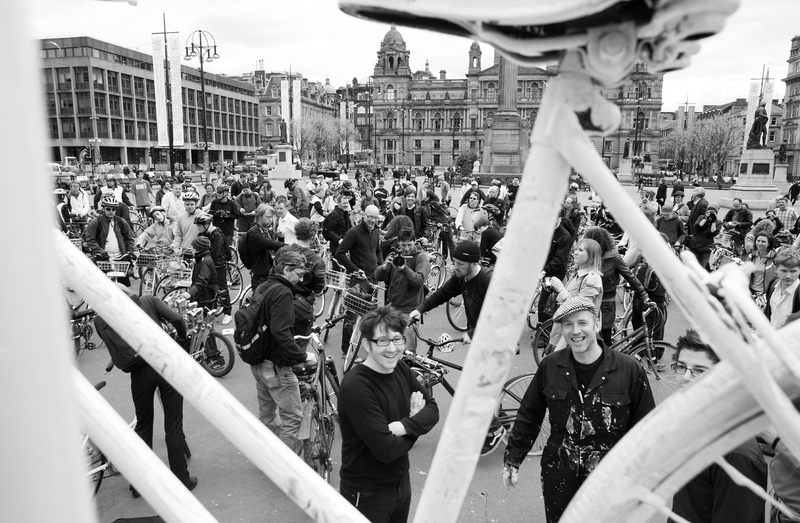 A mass ‘Ride Out’ was staged to launch the call to action with all riders assembling at the Kelvingrove Park Fountain. 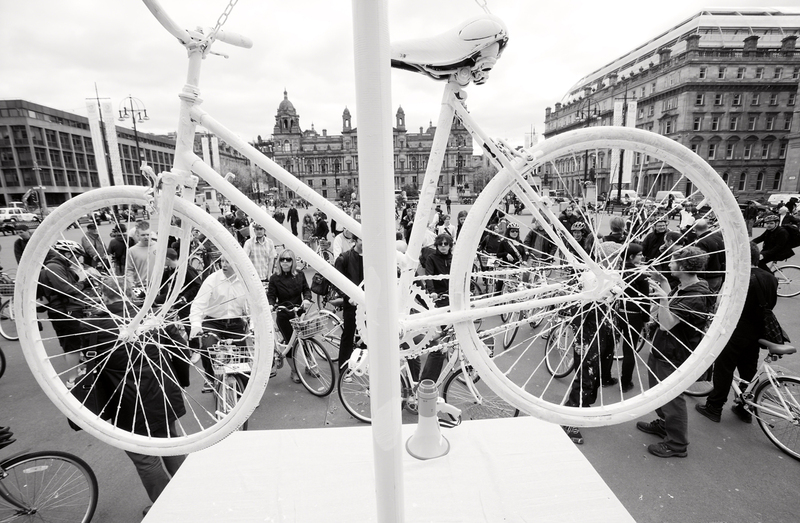 The 50 White Bikes, accompanied by 150 cycling supporters, rode en masse from the park to George Square, stopping traffic in their wake. 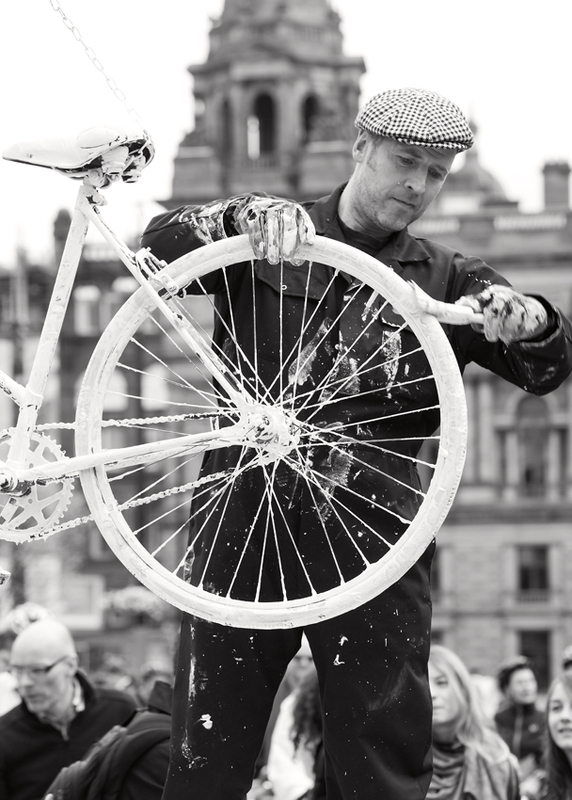 On arrival at George Square, the proclamation of the original manifesto was made in both Dutch and English while a bike was painted white in tribute to the original action. 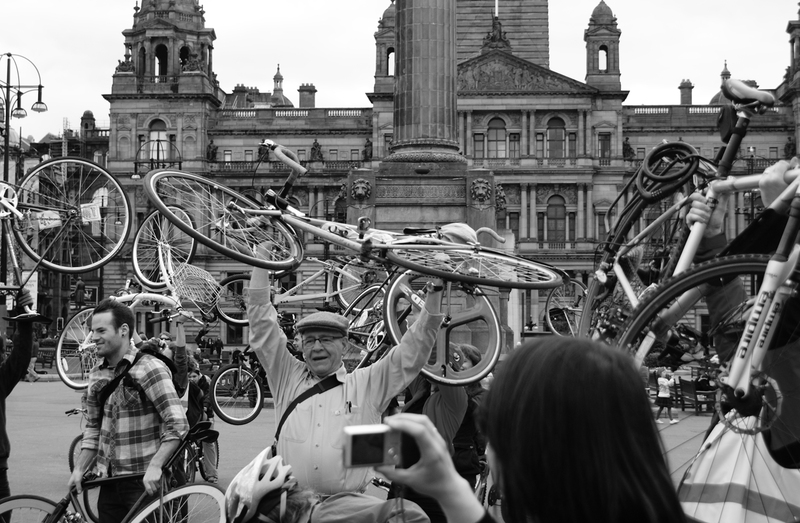 After three weeks on the streets of Glasgow, 23 of the bikes were retrieved, re-branded with the Amsterdam triple X logo on the forks, and donated to cycling charities across the city. 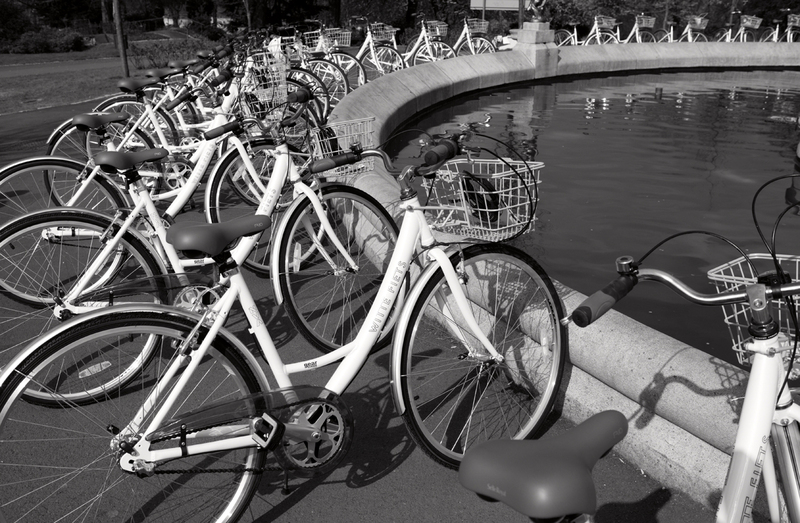 The missing bikes have been spotted in Berlin, London and New York. 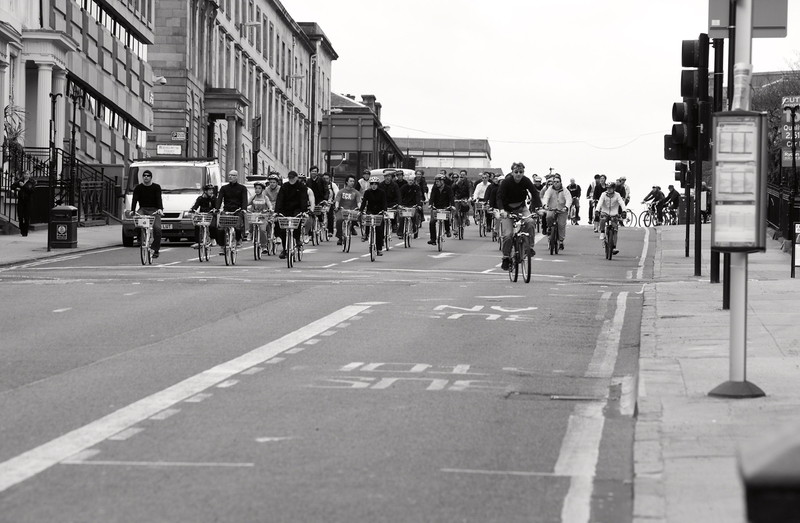 Central Station, an artists’ social network, commissioned a crowd-sourced film documenting the ‘Ride Out’. Click HERE to view. 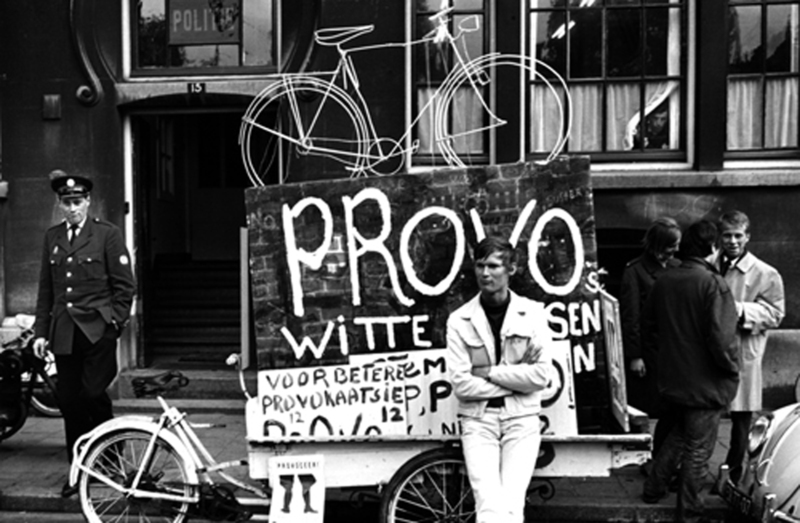 The original Witte Fietsenplan (White Bike plan) was an anarchic free transport programme initiated by the most famous manifesto of the Provos, the Dutch counter culture movement of the 1960’s. 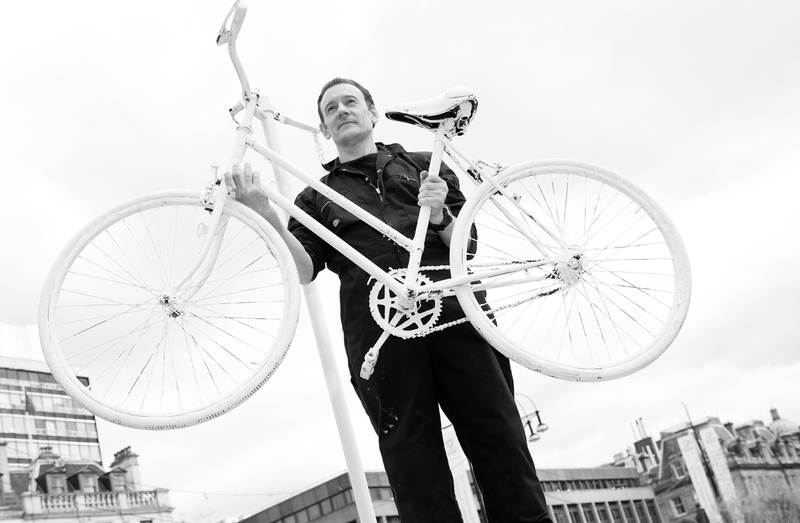 The group released painted white bikes for free use across the city of Amsterdam as a statement against the rise of consumerism, pollution and congestion caused by the massive increase in privately owned vehicles. 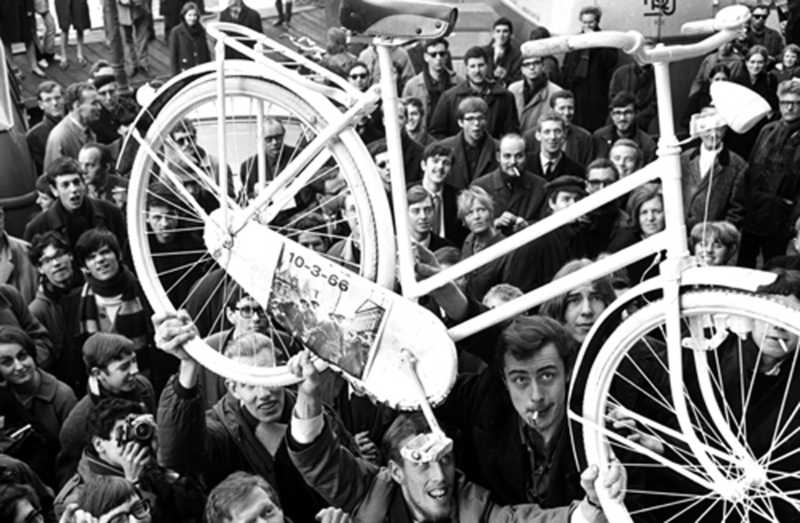 Although the action was short-lived due to theft and vandalism, Provo members used seats on the local council to propose further large-scale white bike plans. 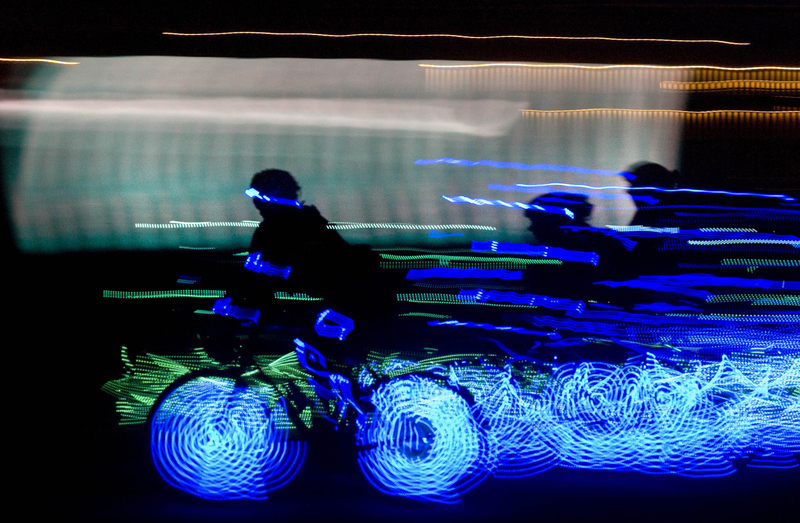 The initiative stands as the source inspiration for the (PUB) Public Use Bicycle systems which have been updated and ‘officially’ replicated in cities worldwide.